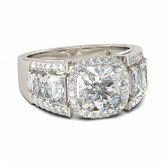 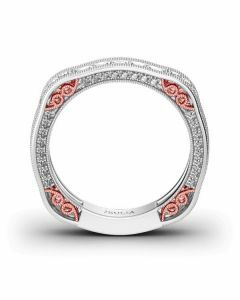 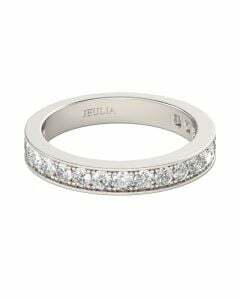 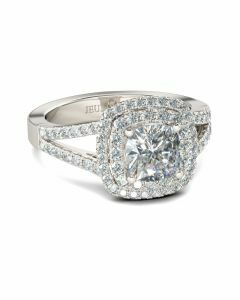 Love is in the air - and on her finger - with this splendid engagement ring. 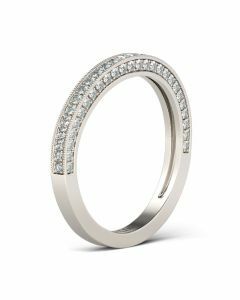 Crafted in sterling silver, this modern style features a sparkling cushion-cut center stone wrapped in a halo frame of round stones. Along the shank, three rows of stones lend more drama to the design. 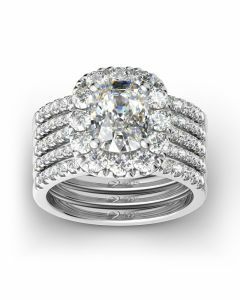 An elegant choice, this stunning ring shares your vision of the future.